SnapComms is a self-funded business that has grown from small beginnings. In the early days the owners were working from a home office, where the concepts behind the SnapComms solution and the related software application were initially established. Since 2007, the business has grown and now has offices in the US and UK with the main office in Auckland, New Zealand. This growth has been driven by innovation in software development, sales and marketing and operations. Conversis is a leading supplier of translation and localisation services. Conversis was founded in 2003 by Gary Muddyman (CEO) and Karin Pfetzer (COO). Having spent 16 years at HSBC, primarily in corporate development, Gary started Conversis with the intention of advancing the understanding and use of localisation and translation as a strategic business tool. Coming from a linguistic and project management background, Karin’s aim has always been to make our clients’ language projects a success by bringing together the best suited human and technical resources. Over the last decade, Conversis has built a reputation as a high-quality, value-for-money supplier delivering time-sensitive localisation and translation projects for companies the world over. 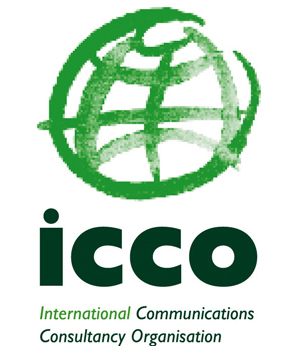 The International Communications Consultancy Organisation (ICCO) is the voice of public relations consultancies around the world. The ICCO membership comprises national trade associations in 31 countries across the globe: from Europe, Africa, Asia, the Americas and Australasia. Collectively, these associations represent over 2,000 PR firms. All Things IC work as trusted advisers to help communication professionals achieve excellence. Founded by award-winning communicator and former PR Week 29-under-29er Rachel Miller, FCIPR, we work alongside companies as an extension of their comms team, from a one-day to longer-term partnership. We advise companies including O2, Jamie Oliver Group, London Ambulance Service, Notting Hill Housing, Steria and the Zoological Society of London. There’s not a one-size-fits-all approach to communication because no two companies are the same. That’s why you need tailored and smart strategies that are aligned to your business, relevant channels, opportunities for two-way conversations and for employees to have their voices and views heard and acted on. All Things IC takes the time to understand your culture and advises on the full spectrum from strategy creation to coaching communication teams and analysing existing channels. Our role is as diverse as talking with tiger keepers while conducting IC audits, to training Heathrow Express’ senior leaders and frontline employees on using Twitter. Effective communication is all about conversations and we look forward to hearing from you. We are IABC Europe, Middle East and North Africa - part of a global community of more than 14,000 strategic communicators. We work for global brands, leading agencies and we are independent consultants too. Together, we have one common goal: To become the best strategic communication professionals we can. We connect and inspire each other through events and professional development programmes, and by sharing best practices. über engagement was formed in March 2009, at the same time as uber the transportation network company, only slightly less profitable! Our purpose is to change the conversations inside organisations to help define purpose, engage people and deliver results. · Belief – we are über-imaginative , creating emotional connections. · Experience – we are über-active , turning words into action. · Results – we are über-pragmatic , focussed on measurable outcomes. We love and admire interesting press releases, invitations to events and product reviews that inspire and motivate bloggers to post. We have great press releases uploaded from brands/PR/social agencies to inspire future blog posts. With specific consideration to bloggers, we offer an inviting and visible environment where a brand can put his Press Release in front of bloggers, and bloggers can pick what matters to them. Digital Agency Network aims to advance the digital marketing industry. If you have a product or service that could benefit other companies when it comes to internal communications, find out how you could leverage this event to meet new clients, educate the market about your offering or get recognised as a thought leader in your area of expertise. Contact Alexsandra Russo on Alexsandra.Russo@haymarket.com.